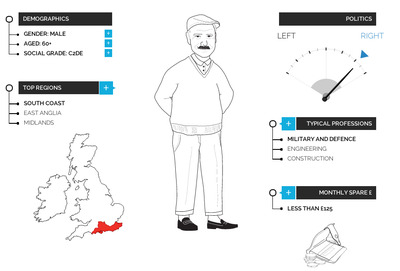 YouGovYouGov’s profile of an average UKIP supporter. If the traditional analysis of UKIP supports holds, the voters in the Rochester and Strood by-election — where UKIP is currently leading Conservatives in the polls by 12 percentage points — should fit comfortably into the picture painted by YouGov’s profile above. But the data shows otherwise. 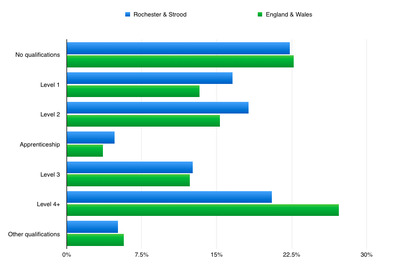 Exibit B: Moreover, although polls suggest only around 12% of UKIP supporters nationally have A-level qualifications or higher, the local population of Rochester and Strood demonstrate a significantly higher level of educational achievement. Census 2011Highest level of qualification. So what’s going on? 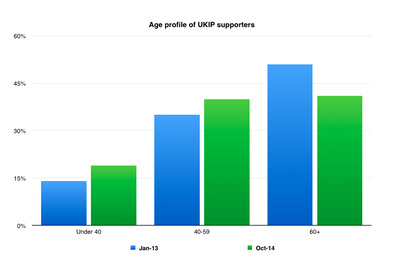 First, the figures illustrate the danger of making sweeping assumptions about where UKIP derives its support from. As a fringe party, the profile of its base may have been easier to establish. 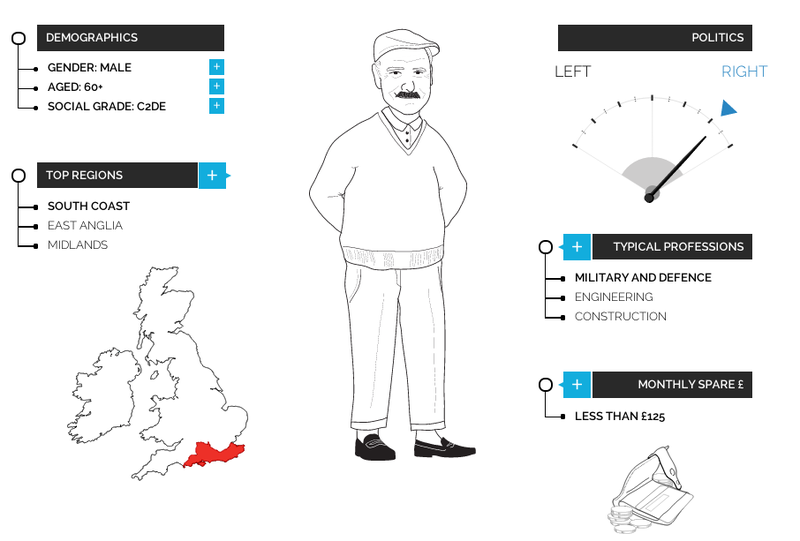 But with recent polls giving it between 13-17% of the national vote, these stereotypes are likely to be less and less accurate. And, worryingly for Labour and the Liberal Democrats, there are growing signs that UKIP’s appeal is growing beyond frustrated Tory voters. While in January 2013 almost 60% of respondents said they had voted Conservative in the 2010 General Election, that figure has now fallen to 48%. Meanwhile the percentage of UKIP supporters who claimed to have voted Labour in 2010 has increased from 7% to 15%. That is, Labour is starting to lose large chunks of votes to UKIP too! YouGovHow UKIP’s support has changed. These factors help to explain how UKIP has managed to turn what should have been a tight contest in Rochester and Strood into what could be a procession for its candidate Mark Reckless. Betfair, which has matched over £300,000 worth of bets on the result, currently gives UKIP a 97% chance of victory. On Wednesday Faisal Islam, Sky’s political editor, reported that the Labour and Lib Dem campaigns had received “hand signed letters from Con candidate asking to “lend their votes””. If that isn’t sufficient illustration of quite how panicked Westminster is becoming about the rise of UKIP, I don’t know what would be.